The world is heating up. Carbon levels in the atmosphere are now higher than at any time in the last 650,000 years. 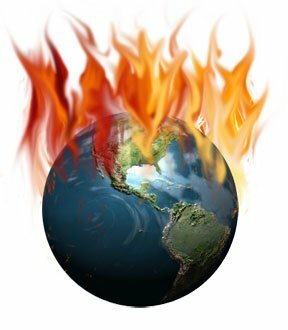 The 20th century was the warmest in the last millennium and the 1990s was the warmest decade for the previous 100 years. In the UK, we have been witnessing the warmest weather since records began in 1660. 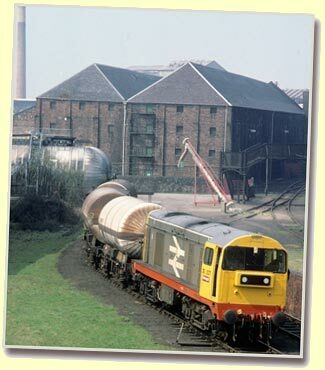 How then does this global phenomenon affect the UK, Scotland and the whisky industry? The picture of the UK in 2080 painted by the UKCIP02 report shows a country which has got progressively warmer with annual temperatures between 2.5˚C and 4˚C warmer than today, with northern Scotland warming the least and the southeast of England rising the most. The difference between seasons is more dramatic than it is today. Summers have become increasingly hot [England & Wales by up to 4.5˚C, Scotland by between 3˚- 3.5˚C] Although this has resulted in a fall in annual precipitation by up to 10% across the country, winters have got wetter [+ 20% in England and eastern Scotland] and rain is falling in more intense bursts. Snowfalls have been reduced to below 70% of today’s levels, in Scotland they have fallen by 66%. In addition, coastal waters have warmed and the sea level has risen by 30cm. 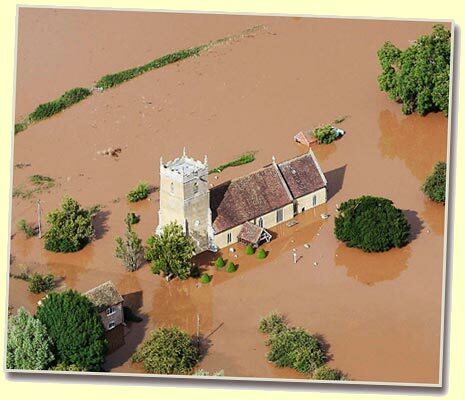 This, coupled with more storms has increased incidences of flooding. Though the effects are at their most extreme in the south-east of England, Scotland has not escaped. The east coast will also see the most significant rise in summer temperatures. Though the west coast will remain the wettest part of the country, the highest percentage increase will be seen in the east which could result in more winter flooding and, in a worst case scenario, a shift in river courses and increased coastal erosion. Although a rise of a few centimeters hardly seems the stuff of nightmares, the bigger picture is worrying. “You have to remember is that any sea level rise will be exacerbated by storm surges,” Hansom adds, “and if the ocean is warming there is a chance that storms will become more severe.” There is a further scenario which involves the Greenland ice sheet melting which would not only raise sea levels but put more fresh water into the Arctic ocean which could result in the shutting down of the North Atlantic Drift “This is what caused glaciers to form in Loch Lomond during the last Ice Age,” said Hansom, “and the evidence is when it happened it happened quickly. If it happens this could means that the UK gets colder rather than warmer, making the temperature closer to Russia or Labrador, with sea ice forming in winter.” Though a slowing of the NAD has been factored into the UKCIP02 scenarios it is however thought unlikely that it will close down totally. One result of warmer summers is that the thermal growing season is estimated to be extended to 60 days in Scotland. Dr Mike Rivington is researcher in Land-Use Systems Modelling at Aberdeen’s Macaulay Institute. He and his colleagues have run a computer simulation to assess what may happen to barley cultivation in Scotland : “It is one of those things that, potentially, climate change could be beneficial to some aspects of Scottish agriculture. The indications are that barley will be OK,” he says. “That said, the model doesn’t take into account pests and pathogens or the wider effects of warming, so on one hand while potential yield could be as good as today or even better, climate change itself may still have a serious impact.” The heavy winter rains predicted for Scotland’s main barley growing areas could affect winter grown crops while the increase in intense rainfall will also have an impact. A further issue revolves around the rise in sea levels. As we have seen the rise will not be the same across Scotland and though even a 30cm rise may seem insignificant, this figure does not does not take into account increased wave height (already noted in the past few years), the higher incidence of storms and greater risk of storm surge [the result of low atmospheric pressure + strong winds; or a storm coinciding with high tide]. So who is most at risk? “Everyone on the coast, to a greater or lesser extent,” says Dr Jim Hansom. “Though there are not many distilleries built at sea level there is the issue of erosion. Bunnahabhain on a gravelly beach will have more of a problem than a distillery built on rock. If there are more storms there will be more coastal erosion and also a buildup of silt and sediment in inlets and estuaries — Lochindaal for example — which could silt up.” (Quite how Islay would get its oil if this happens is worth considering). “This build-up of silt could cause flooding problems for distilleries close to estuaries — Bladnoch for example,” he continues. “Everything on Islay will be affected in some way. In fact, any coastal distillery will see an impact to some extent. “Speyside won’t be affected by a sea level rise directly unless you have a bonded warehouse or a distillery at the 0.5m level, but any area close to sea level and on any of the flood plains of the rivers will see a higher incidence of flooding as the rivers will back up because of the higher sea level and increased storms.” On this reading, the floods which affect low-lying distilleries such as Glen Moray will become a normal occurrence, while any building on flood plains or low-lying coastal areas (which would include maltings, warehousing and distilleries) could be affected. Global warming affects every aspect of out lives. Even if drastic action was taken now, it would not reverse the process. Yet action is needed. Next, we will examine what the industry is doing about finding solutions to the potential impacts outlined here as well as reducing its own carbon footprint. Whisky-making is energy-intensive. Malting, kilning, mashing, distillation, effluent disposal, all require high amounts of energy. Transportation and packaging adds to the overall environmental impact. Like all UK industries, distillers are required to meet Government targets for reducing energy efficiency levels by 2010. Campbell Evans is director of Government and Consumer Affairs at the SWA. “The climate change agreement has set specific targets for energy usage per litre of alcohol produced. These are currently being bettered and the level is now 13.5% lower than it was in 1999, despite an upping of production. In addition, carbon emissions have also been reduced by 10%. In going forward, the SWA, through its energy committee, is looking at the potential impacts of climate change. It is an ambitious timescale, but the important fact is that we are being proactive.” In many ways, the Scotch whisky industry has a head start. Heat exchangers within distilleries are hardly new innovations, waste heat is recycled wherever possible both in the distillery and, as anyone who has luxuriated in Bowmore’s swimming pool can attest, in the wider community. In Wick, for example, Old Pulteney is generating electricity for neighbouring houses. As established distilleries find further ways in which to reduce energy, the new builds which are either underway or in the planning stages are under increasing scrutiny to demonstrate their green credentials. Chivas Bros. claims that the complete reconstruction of Glenburgie has made it one of the most energy/CO2-efficient distilleries in the industry. Interestingly however, as a result of the water table falling Glenburgie like Longmorn, has had to sink a deeper bore hole in order to access its water source, a further indication of climate change. A series of heat recovery projects at Allt a Bhainne, Glenallachie, The Glenlivet, Glentauchers, Longmorn and Strathisla Distilleries are intended to deliver energy/CO2 reductions. The most dramatic change, the firm claims, has come at Glendronach where the switch from coal to oil has resulted in a 50% reduction in energy levels and the same fall in carbon emissions. Elsewhere, more efficient boilers are being installed to help reduce emissions. Burn Stewart has done so at Tobermory and Bunnahabhain, while Bruichladdich has replaced its two old ones with a more efficient single one, resulted in a 29% reduction in oil usage. Distillery manager Duncan MacGillivray has also designed a heat exchange system which uses the heat of the pot ale to pre-heat the stills. Efficiencies have also been made in packaging. The Edrington Group has set up an energy task force which looks at a strategy to reduce energy use at its Glasgow HQ and bottling plant. “Over the last 4 years as a result of these energy saving initiatives, the company has achieved a net gain saving of energy of more than 1.17 million kWh, which equates to 225 tonnes of CO2,” says Stan Marshall, Edrington’s director of operational excellence. A programme of ‘reduce, reuse and recycle’ at its Glasgow bottling facility has resulted in a 60% cut in wastage in five years – an annual saving of £400,000. In addition, 79% of Edrington’s waste is recycled and the company is working with suppliers to return re-usable packaging to them, resulting in savings on transport costs and emissions. Gordon & MacPhail, too, is recycling all of its paper and cardboard. Although hardly the sexiest part of whisky production, effluent treatment and disposal also has an environmental impact and is therefore under ever-tighter guidelines. Copper levels in water discharged into rivers, for example, have very tight limits. 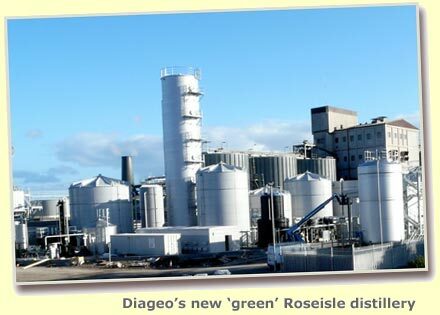 One possible solution to improve effluent treatment is to create a reed bed to help generate an oxygen-rich environment supporting a range of micro-organisms that thrive on the nutrients present in the effluent, an option has been taken by Diageo at its Dufftown and Blair Athol distilleries. At Dufftown, the reed bed is used to ‘polish’ the bioplant effluent, reducing the amount of dissolved copper prior to discharge into the River Dullan. It also has the added benefit of reducing the organic and suspended solids load of the effluent stream. At Blair Athol the reed bed is used to break down the bioplant sludge and eliminates the need for it to be sprayed onto agricultural land. Likewise, Macallan has chosen “environmentally -friendly technology” to reduce the amount of copper in its discharge into the River Spey to a fifth of the Scottish Environment Protection Agency’s (SEPA) consented limits. All of this is laudable and there is compelling evidence that the industry is doing something, yet there remains a nagging feeling that it isn’t being done for the sake of the environment, but for that of efficiency and cost cutting. Robert Ransom: “I am not going to claim that we are a leader in the field of making the whisky industry greener. However we will always consider new practices that help to make the distillery more efficient, and thus there would be a secondary benefit for the environment.” Given the overwhelming evidence about global warming, surely this thinking should be reversed? The environment should come first. It is the ‘efficiency’ (ie savings) which should be the secondary benefit. Indeed, it could be argued that helping to slow climate change will inevitably see an increase in underlying costs. This argument underpins one of the main conflicts between the business community, the Government and scientists. Business is not predisposed to being bossed around by legislators — the feeling is intensified when scientists begin making their demands. Knowing what needs to be done and what the political and business communities are willing to do are very different things and politicians remain in thrall to the demands of a business community whose prime motivation is to safeguard its profits. There was one comment from a distiller which pointed to this mindset. In the middle of outlining his firm’s achievements, he began to discuss, “the contribution of carbon dioxide emissions to potential global climate change,” (my italics). Though this might seem like splitting hairs, the use of the word ‘potential’ carries within it the underlying state of denial in which most of us live. It is happening. As the author of ‘The End of Nature’, Bill McKibben, writes: “Permafrost is melting. Get it?” Climate change is real. Accepting this and making it the priority — even conceivably over profits — may be a tough business decision, but it is one which will be inevitable.